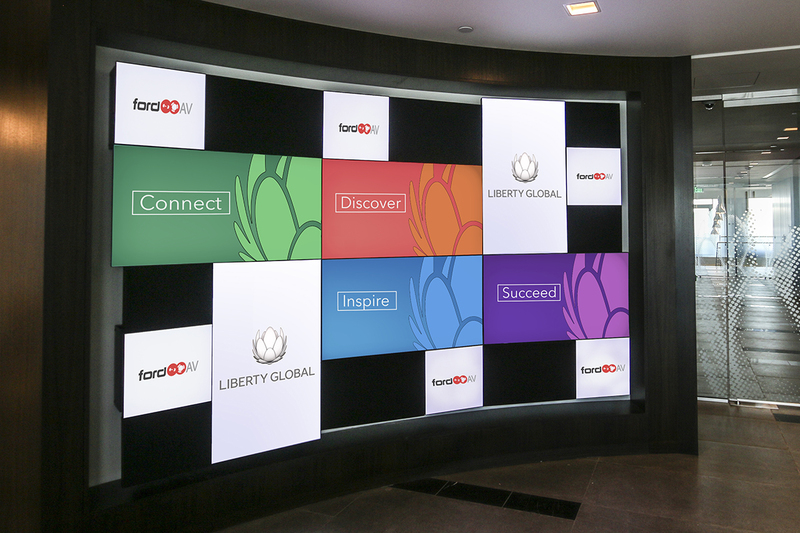 As the world’s largest international TV and broadband provider, Liberty Global is a force in the European market. 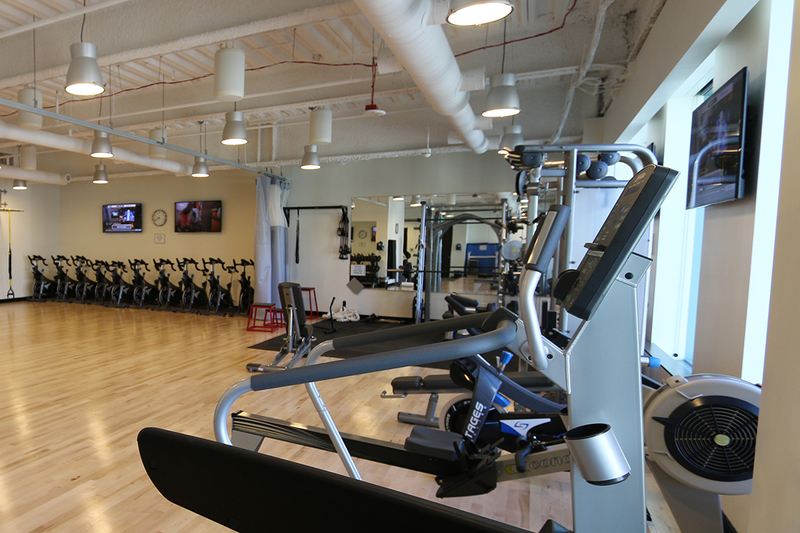 Ford was asked to partner with Liberty Global to tackle unique challenges at their US headquarters in Denver. 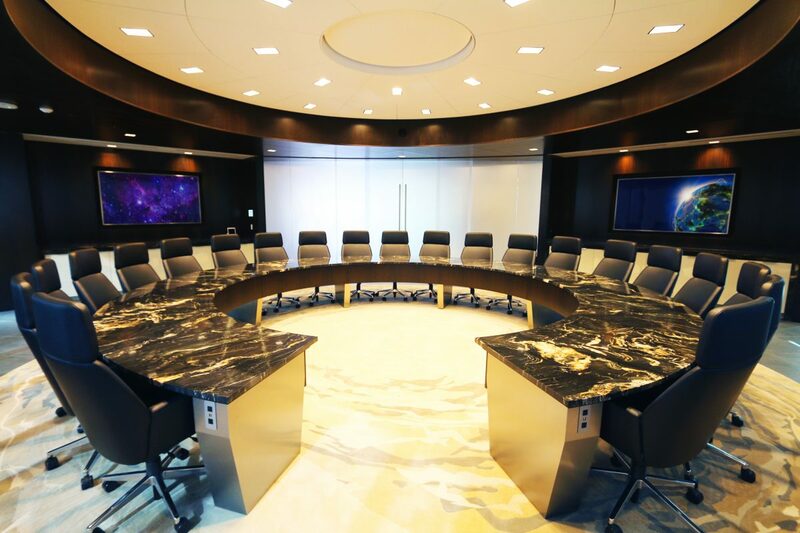 For example, their stunning marble conference table required 360-degree viewing capability of media displays. 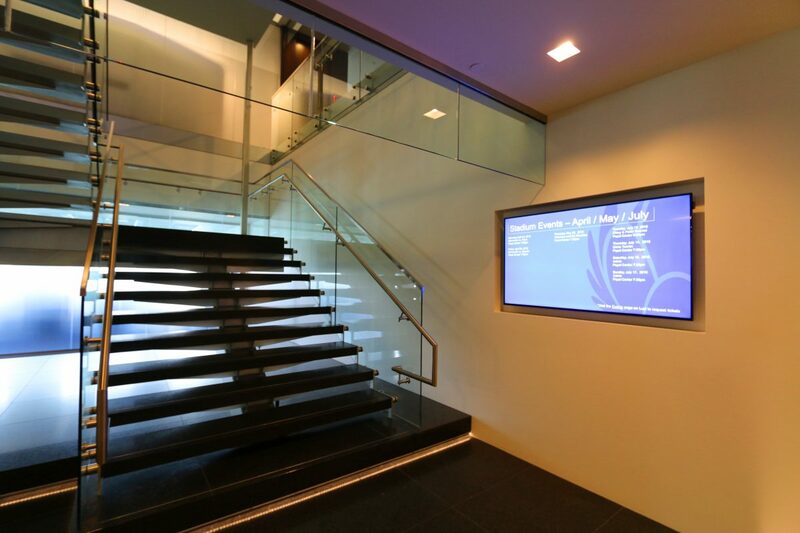 Overall, the project covered 21 rooms over 3 floors (including 3 custom executive offices) and 3 video walls in the main lobby.